Christine Bold is a 2018 Killam Research Fellow--one of six in Canada--with two years of release time from all teaching and administrative duties in order to pursue full-time research on her project "Indigenous Modernities: The Secret History of Vaudeville, 18803-1930s." 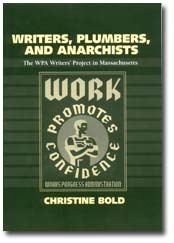 Christine Bold has authored and edited six books--two of them multiple-award winners--as well as numerous articles, chapters, and editorial projects. She has three main areas of interest. Her longest-standing focus is on U.S. popular print culture of the late-nineteenth and early-twentieth centuries. 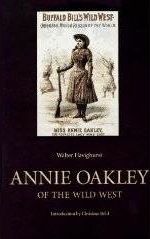 Her most recent book in this field is The Frontier Club: Popular Westerns and Cultural Power, 1880-1924 ( Oxford U.P., 2013)--winner of the 2014 Thomas J. Lyon Book Award in Western American Literary and Cultural Studies (sponsored by the Western Literature Association); winner of the 2014 Robert K. Martin Prize for Best Book (sponsored by the Canadian Association for American Studies); and a CHOICE "Outstanding Academic Title" of 2013. Additional publications in this area include: ed., U.S. Popular Print Culture, 1860-1920 (Oxford U.P., 2011, as part of their multi-volume series, The Oxford History of Popular Print Culture); Selling the Wild West: Popular Western Fiction, 1860 to 1960 (Indiana U.P., 1987); and a number of introductions, chapters, and articles. Recently, this interest has developed into a project on popular performance on "Vaudeville Indians," supported by a SSHRC Insight Development Grant, SSHRC Insight Grant, and Canada Council Killam Research Fellowship. She has also worked on public funding of the arts, specifically in terms of the New Deal innovations in 1930s’ America. 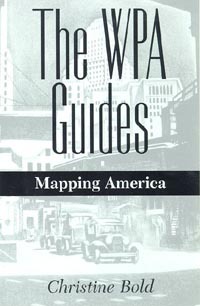 Two books resulted from that archival research—Writers, Plumbers, and Anarchists: The WPA Writers’ Project in Massachusetts (U. of Massachusetts P., 2006) and The WPA Guides: Mapping America (U.P. of Mississippi, 1999)—as well as several chapters and articles and contributions to the documentary film Soul of a People: Voices from the Writers’ Project (dir. Andrea Kalin, Spark Media, 2009). Her third main research area concerns memorializing violence against women, a field in which she worked collaboratively with academics in other disciplines and frontline workers against violence against women. 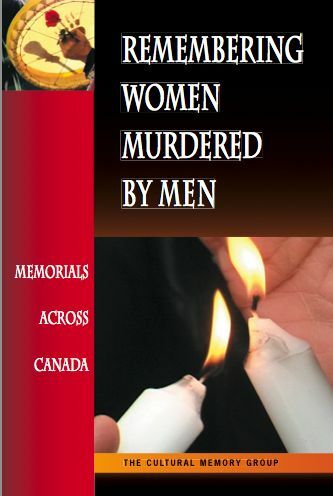 An academic-community partnership formed the Cultural Memory Group (consisting of Christine Bold, Sly Castaldi, Ric Knowles, Jodie McConnell, and Lisa Schincariol), which went on to publish Remembering Women Murdered by Men: Memorials across Canada (Sumach P., 2006) as well as several chapters and articles. This book won a Bronze IPPY (Independent Publisher Book Award), Women’s Issues Category; it was a finalist for Foreword Magazine's Book of the Year Awards, Women's Issues Category; and it was named “Best Book on Violence against Women” by 2007 Women of Distinction winner (Darlene Lawson, Executive Director of Barbra Schlifer Clinic, Toronto) in NowMagazine. Editing projects include a special issue of the Canadian Review of American Studies (co-edited with Victoria Lamont) on “Popular Westerns: New Scholarship” (2009) and the “Popular West” section ofUpdating the Literary West, sponsored by the Western Literature Association (Texas Christian U.P., 1997). From 1991 to 1997, Christine Bold was coeditor (with Stephen Randall) of the Canadian Review of American Studies. Over the years, these individual and collaborative projects have been supported by SSHRC Standard Research Grants, a SSHRC Strategic Research Grant, a SSHRC Strategic Partnership Development Grant, and a SSHRC Insight Development Grant, along with fellowships and grants from the DAAD (Deutscher Akademischer Austauschdienst), Berlin; Harry Ransom Center, University of Texas at Austin; Eccles Centre, British Library, London; Charles Redd Center for Western Studies, Brigham Young University, Salt Lake City; American Heritage Center, University of Wyoming, the Canada-U.S. Fulbright Program, the U.S. Embassy, and several universities in Canada and the UK. I welcome graduate students in any of my areas of research (as above). At the undergraduate level, I teach broadly in U.S. literatures, popular print forms and debates, cultural memory-making, and women’s writings. Recent courses have focused on the construction of the“high-low” divide in 19th-century America, dime novels, spy fiction, memory and social change, and multigenre surveys of 19th- to 21st-century U.S. writings which range widely across race, ethnicity, gender, sexuality, class, and language. I also teach some Scottish literature, with a course on "hidden histories" which takes undergraduate students into the U of Guelph's world-class Scottish archival and special collection. *Winner of the 2014 Thomas J. Lyon Book Award in Western American Literary and Cultural Studies (sponsored by the Western Literature Association). *Winner of the 2014 Robert K. Martin Prize for Best Book (sponsored by the Canadian Association for American Studies). *A CHOICE Outstanding Academic Title of 2013. *Bronze IPPY Award, Women’s Issues, 2007. *Finalist, Foreword Magazine’s Book of the Year Awards, Women’s Issues Category, 2007. *Named “Best Book on Violence against Women” by 2007 Women of Distinction winner (Darlene Lawson, Executive Director of Barbra Schlifer Clinic, Toronto) Now Magazine 24 May 2007.